The Poker Essays are, for lack of a better way to describe them, somewhere between a loose attempt to document things I’ve learned that are related to Poker and, more importantly, the things they reflect about people and contemporary society. There is one post filed in Poker Essays. NOTE: For the sake of word economy and sheer laziness, throughout this article I’ll be taking advantage of two literary devices — Poker slang and using forms of the generic pronoun “he” to describe most players. Poker has a subculture that has traditionally had its own slowly-evolving lexicon. These words and phrases would often require entire paragraphs to describe the concepts behind them. Unless specified, it will be assumed that the reader is already familiar with the lingo. Saturday, October 31st, 2009, 7:14am; I woke up a bit disoriented at first, slow to make sense of an unseasonably warm morning so overcast that sunrise seemed permanently on hold. Soon I recalled that I’d been awake most of the night revising notes from my Atlantic City, NJ trip for use in this piece. I had gone up to the city on a brief vacation with the intention of playing a lot of Poker. I ended up with a bunch of observations and helpful (and sometimes cautionary) bits of advice. A blog entry? Close, but not quite. I never saw myself becoming one of those bloggers who thought the masses needed to follow the mundane details of my life. Anyone looking for that can find it in any one of a zillion blogs scattered across the cosmos. And when it comes to Poker there are countless blogs, mostly by players imitating sports announcers as they chronicle their own gameplay. With all the life stories I’d experienced that would make for good reading, the ones centered solely around Poker have to be the lowest on my list. That’s because most of the time The Big Poker Game itself was only a small part of the adventure â€“ the rest was often wrapped in the Quest, everything it took to make it to the table. One afternoon while cruising along Atlantic City’s Pacific Ave enjoying the last of the warm weather, I came to a realization: for Poker players, visiting this town for a few days without knowing what kind of action to expect at each casino is a quick way to waste precious time and money. Thanks to my business interests back home suffering from the effects of the economy, I didn’t exactly come to town strapped with a Baller’s bankroll. That’s when I decided to save my money and scope out several of the Poker rooms to better plan future trips. My notes have evolved into this blog-primer. It’s intended for any Poker fans that have never had the casino experience, particularly seasoned Internet players. Who am I in the Wide, Wide World of Poker, to be writing this article? I’m just someone that loves the game. I see it as both a fun past time and appreciate the practice of sharpening the necessary skills as a sort of mental Martial Art form. As far as my Poker achievements are concerned, there really isn’t much to tell. I’ve lived in Virginia Beach most of my life and almost every type of gambling-for-money is still considered illegal here in Virginia. Since 2003 I’ve logged more than a conservative 1900 hours of Poker play; over 95% of that being online in low-limit cash games, play money games, and various tournaments (Sit-n-Gos, Freerolls, etc). I’ve won and placed in a respectable number of those SnGs and tournaments with no major awards to date. The rest of my play has been in a sprinkling of friendly home games, small freebie tourneys, a few cash games at underground spots between Hampton Roads and Washington DC, a couple of Louisiana riverboat casinos, and more recent ventures into Atlantic City. My games of choice include Texas Hold’em, Omaha Hi-Lo, 7-card Stud Hi-Lo, Razz, and HORSE with my preference being Omaha. Aside from avid play, my study of Poker theory has come from books compiled by great minds such as Sklansky & Malmuth, Brunson, Caro, Jones, Zee and others. I’m still a long way from reaching a Howard Lederer or Phil Ivey status, but I’m not some blissfully ignorant shark bait, either. the size (and availability) of a casino’s Poker room is proportional to the amount of sustained interest from their guests. When it comes to tables and ante limits, Poker rooms tend to use a “get in where you fit in” approach in regards to what they offer that Poker rooms at other casinos don’t. Poker rooms aren’t nearly as [directly] profitable for the average casino as the other games. How so you might ask? For starters, with all the other casino games there’s something called the House Advantage â€“ the predictable long-term advantage for the casino, or “House” that exists while offering players the possibility of winning a large short-term payout. Your slot machine players love slots because they can put their money in, play without thinking, be entertained by the lights and noises and occasionally luck into some money. Same thing applies to Craps, Roulette, Baccarat, Keno and so on. 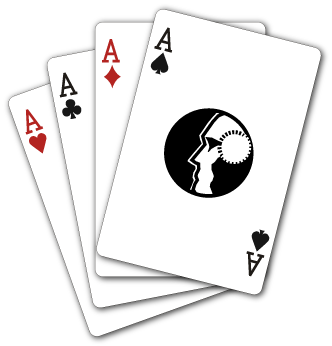 As for Blackjack and other table card games where the players are up against the house, even though there is some degree of skill that can be legally used to minimize the House Advantage (not including card counting), most of the time it’s not enough to be a long-term factor that will cause the casino to lose money. The bottom line is that the same ultimate fate awaits the average player that doesn’t know how to quit while ahead â€“ the House Advantage means that for every single player that wins a sizable payout, there are countless others who won money and eventually lost every bit of it back to the house (and then some). Now, when it comes to Poker, there is no such thing as a House Advantage. Players don’t play their game against the House â€“ they play against other players at the table. No matter what the limit is, at each table the House makes their money off of the rake, a few chips at a time off of each winning hand. To the average casino guest this might not sound like much but it’s a big deal for many reasons. This fact makes Poker the most profitable game in the casino, particularly for the disciplined player. Since we’ve established the ‘why’ behind Poker rooms, here’s what it means: Every kind of player â€“ from Chris â€œJesusâ€ Ferguson to Kris Kringle â€“ eventually plays long enough to graduate from their home games to test their skills at playing in the casino Poker rooms. Think of it as the equivalent of being a teenager that picks up a guitar with the intent of getting good enough to join a successful band and live out his Rock-n-Roll Fantasy. This factor alone creates an atmosphere unlike anything you’ll experience in any other part of a casino. Whether the antes are at $1 or $10k, the level of competition at the tables has a medieval intrigue best compared to what would happen if you were able to take the colorful personality types of 15th century fighters such as the Samurai, Caribbean Pirate, Spanish Conquistadore and Zulu warrior and put them all in a room with the same number of ordinary people and armed everyone with chips. Even though the game is normally driven by bloodless aggression these days, it’s that flair and pure intensity that always separates the sharks from the fish. Not including pit stops, the trip by car would take roughly 6 to 7 hours going along the Eastern Shore up Route 13; if going by I-95, add an easy 2 hours and a bottle of Tylenol. For a round-trip flight, prices start at anywhere from $190 to $550, depending. There are two airports supporting Atlantic City, NJ (codes: ACY and AIY). My local airport, Norfolk International Airport (ORF), doesn’t have direct flights to either one. Those prices I quoted were as if I was flying out of Atlanta, GA. Hopefully you will have better luck in your area. Getting to AC by Amtrak train is a losing proposition, too. From here I’d have to catch the train by 6am and would arrive at the station there in AC about 3:30pm. If that 9.5 hour trip seems like a deal breaker, the nearly 14 hour trip by Greyhound bus would be downright laughable. My favorite means of getting to Atlantic City is by way of a chartered bus with a group of people. Check around with friends and family members that are in their 50s and older. Many of them are either in civic/service/social organizations or knows someone who is a member. My mother, aunt and uncle, and I took advantage of one of these group trips for about $195 each (round-trip, hotel room, small chip comp to get you started and a complimentary meal). The bus left around 7am, leisurely stopped for breakfast and lunch and bathroom breaks, and arrived in AC about 4pm. We could have been there earlier but our rooms weren’t going to be ready until after 3pm. Even with the little extra I paid to get a room to myself, I had spent less for the entire package than I would have just for the plane ticket â€“ and still arrived here well before dark. Thanks to traveling with a group of retirees, the hotel unloaded all our luggage and practically delivered them to our rooms. Who knows, if you make an announcement on the bus you just might find another Poker player or two to run with you. We stayed at the Atlantic City Hilton Casino Resort Hotel. My room had a beautiful view overlooking the boardwalk and beach. There was practically no one on the sand at any given time of day, only tire tracks from unmarked trucks that had turned the sand a battleship gray. Later I would come to find out that only tourists frequented the boardwalk and the patrols were there to keep the junkies and vagrant predators from feeding on them. Compared to some other casino hotels along the strip, the Hilton is a bit like a retirement community with slot machines, Blackjack, and Craps tables. If you’re one of those travelers like me who prefers the option to be able to play in one place and sleep in another place, this kind of arrangement is perfect. If I had come to this hotel solely for the Poker action I’d read about in one of the Hilton’s recent online press kits (Poker room with 22 tables set aside for Hold’em, 7-card stud, and Omaha), I would’ve felt thoroughly misled. Later I’ll discuss more about how this and other factors inspired me to disregard the casino websites and check out the various Poker rooms for myself. As of this writing, the closest thing the Hilton has to real Poker action were two Hold’em tables (that operated only on the weekends), and table games like Caribbean 3-card Stud, 4-card. The Poker room had long since been converted to an Asian Game Room set aside for Pai Gow, Che Deng, and other table tile games so exotic that most westerners would need chopsticks, a Cantonese interpreter and a passport just to get in on the action. I arrived at The Tropicana’s Poker room about 3:30am and, to my surprise, there were only three tables up and running â€“ half the activity I saw around the same time of night on my last visit about a year earlier. With my trips to AC, I’ve found the Trop to be a great first destination on the path to finding casino Poker action. Right on the Boardwalk and in a building that can probably be seen from orbit, this casino resort is not only easy to find but has over 20 restaurants and more amenities than I’ll ever have time to explore. I’ve actually talked with gamblers and business execs alike who arrive here and go for days at a time without setting foot outside. And as a low-limit player (i.e. – being a regular-guy on a regular-guy vacation budget due to earning regular-guy income) the best thing I love about the Trop is that there’s always some kind of action I can afford, whether it’s the buy-in to some game or a tournament. During the day, this Poker room was a carnival of cards, chips and chaos. As fast as players seemed to be cashing out or walking away broke, someone else was joining the table with a fresh rack of chips. Even with all 35 tables running full-bore with the turnover rate of a Burger King drive-thru, the wait for some games was still an hour or more. And as if there wasn’t enough sensory-overload to contend with just focusing on the tables, there are dozens of overhead screens set up all around the place, broadcasting every kind of sport imaginable. Overnight, the noisy frenetic pace of the room settles down like a college drunkard after an all-day binge. For me, anytime between midnight and sunrise was the best time to play. I’d spot out a soft table playing at $1/$2 or $2/$4, buy in at about $100 dollars, and often double my money or better within a couple of hours before leaving. I figured if the scene was to be anything like my last visit, the tables were going to prove to be somewhat loose and passive and light on conversation with a slightly international feel, thanks to around a third of the players being foreign tourists whose body-clocks still hadn’t adjusted to the local time. If this is your first time visiting that (or any) Poker room, do yourself a favor… don’t rush to buy into a game. Having lived near the ocean all my life, I approach this much like arriving at a new beach: Take the first few minutes to relax and quietly admire the entire landscape. Be a silent railbird for a few. Hang loose. Meander around the outer edges of the tables close to the walls, checking out the pace of the games at each table. Nonchalantly size up the players. Just like with a real beach, it won’t take you long to spot out the Rocks and dangerous surf. Once you’ve got a fix on them you’ll pick up on the Sharks pretty quickly from there. They’ll be playing into the Fish trying to exploit weaknesses, particularly loose calls from tipsy tourists trying to chase down runner runner hands or Maniacs trying to gamble and get lucky with junk. Ultimately, all this will help you to decide whether or not these waters (i.e. – the table) will merely be a challenge for you or too rough to mess with based on your current Poker skills. Originally I went there with the hopes of getting into an Omaha Hold’em Hi-Lo game. There weren’t any. The last time I played at the Trop’s Poker room there were mostly Texas Hold’em games with a few 7-card Stud and HORSE tables running, too. A floorman informed me that it was now all Texas Hold’em, mostly No-Limit ranging from $1/$2 up to $10/$20 antes and $40 dollar buy-in tournaments at 11am and 7pm. When I asked about Omaha he gave me a somewhat puzzled look then advised that I check out the Trump Taj Mahal or the Borgata. The larger the casino, the larger the Poker room, the higher the stakes and the greater the chance of finding different types of games running â€“ all of which is driven by popular demand. Since I was already there and only had $100 dollars on me, I decided to buy-in at a $1/$2 ante No-Limit Texas Hold’em table. After the first few hands it didn’t take long to figure out that I had not only misread the action at that table, but the room as a whole that night. Unlike the last time I’d played at the Trop, this table was much quieter. There wasn’t any random friendly small talk from drunks, tourists or recreational players. Aside from the bets there was only the soft ambient sound of chips in motion as it surrounded us like supermarket Muzak. Chips shifting. Stacking. Being shuffled and twirled by idle hands. The first of two epiphanies hit me â€“ like a clueless tourist I had sat down at a table full of Grinders. A few aggressive showdowns later, I connected with the second stomach-churning truth â€“ most of them were looking at me like I was the Sucker at the table, a fish named Nemo that had swam into their shark-infested waters. Now, here is where I must make an exception and actually elaborate on some Poker slang. Among avid Poker players, a Grinder (also known as a Rounder) is a person that makes his living playing anywhere that he can find action — casinos, cardrooms, home games, etc. Because the losses and financial swings can be brutal, they tend to stick to textbook conservative plays, winning small pots over long periods of time and grinding their unsuspecting opponents down. In an almost surgical fashion, accomplished Rounders tend to work low-limit and medium-limit tables like slaughterhouse butchers seeking out sheep to skin. Often their goal is to support themselves, tuck some winnings away, and build up a bankroll large enough so they can move on to high stakes games and tournaments. Finding myself at a table with a bunch of Grinders was the farthest thing from my plans for this trip. Yeah, I could have moved to another table or cashed out, but I didn’t. Being able to click around online Poker sites in search of easy tables had spoiled me; I knew I needed some real-world practice. When it was my turn to act during the first hand, I paused to count chips before I placed my bet. I got a read on several of them as they got a read on me and the fact that I don’t physically handle Poker chips too often. That’s why they started in with the heavy aggression, treating me like the Sucker de jour. I also didn’t want them to catch on that I was an online player, either. I knew if I played it right I could put a hurtin’ on a few of their chip stacks before they figured me out â€“ if they didn’t manage to grind down my chip stack first with re-raises and bluffs to steal my blinds. Poker gods smiled on my game by dealing me pocket cowboys while I was on the small blind. It was the first decent starting hand I’d seen after tossing cards into the muck for over half an hour. Several others called. It took everything I had not to show a smile or anything on my face. I knew that by raising instead of just completing the bet I could possibly cause the others to fold and buy the pot. As a side note, one of the things I’d noticed after playing in a few casino ring games and tourneys is that you’ll see many faces come and go but the only ones that will stick with you are the ones who beat you out of a lot of chips. From this session at the Trop, I’ll never forget the man that had just sat down to my immediate left. Not because he reeked of beer-sweat and Camel cigarettes… Not because he looked and dressed like Josh Brolin’s character in the movie “No Country for Old Men”… Not even because the jailhouse tatt on his forearm partially covered what looked like a souvenir from a crazed knife fight… but because when the bet came back around to me, I raised the ante to match the pot — and instead of folding, he didn’t hesitate to push his chip stack forward and say “All-in”.